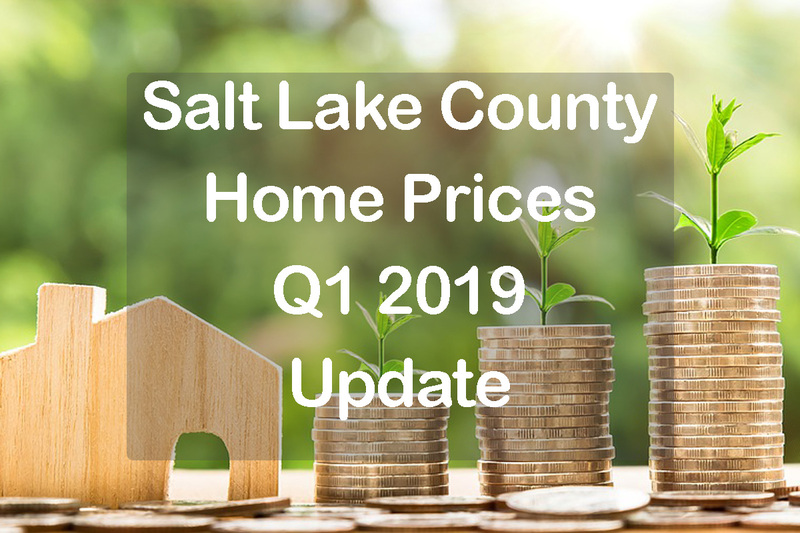 Summary of how the Salt Lake County Utah housing market performed in the first quarter 2019.. The Salt Lake County housing market continued to show strength in the 1st quarter 2019, well at least in terms of home sales prices. The median sales price of a Salt Lake County home rose 6.56% to stand at $325,000. While this is good, the number of properties sold declined, dropping 14.53% with 3212 sales. Also, homes took longer to sell, taking a median of 31 days to go under contract, that’s 55% slower than the same quarter in 2018. The single-family home housing market experienced modest sales price gains in the quarter, with the median sales price standing at $355,000, an increase of just 2.79%. The number of sales was down 13.24% and the days on market climbed 52% to stand at 35 days. The condo market was stronger, with a median sales price increase of 6.33%, to sit at $200,000. Even with this strong sales price performance, the number of condo units sold went down 17.24% and units took longer to sell with the days on market going up 41.16% to stand at 17 days (still a very good number).